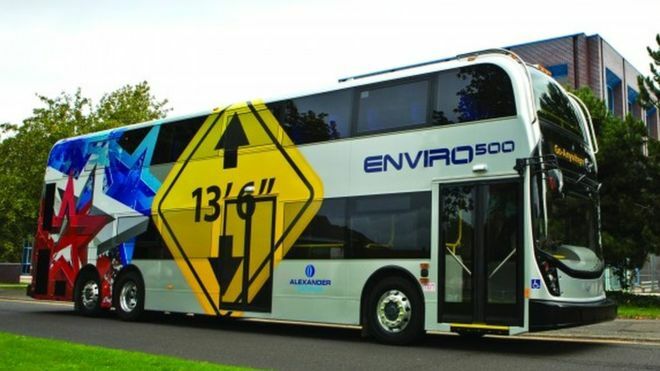 Scottish bus manufacturer Alexander Dennis Ltd will build 90 low-emission double-deckers to run on one of Mexico's most famous avenues. Prime Minister Theresa May announced a £44m finance deal that will see the vehicles shipped to Mexico City. The Enviro500 buses are being made at Alexander Dennis's sites in Falkirk and Guildford. The contract was secured with a 1bn Mexican pesos (£44m) agreement by UK Export Finance, part of the government's Department for International Trade. Mrs May said: "These iconic double-deckers being made in Falkirk to transport commuters around Mexico City are a great symbol of how the UK government is using its muscle to help Scottish companies reach markets across the globe and win multi-million-pound contracts to support jobs in Scotland." Alexander Dennis Ltd chief executive Colin Robertson, said: "As a global double-decker leader with fleets of our vehicles across the world, we see the positive impact these vehicles can have in improving the transport infrastructure, congestion and air quality in the world's busiest cities. "Our ability to offer finance from UK Export Finance in Mexican pesos was a significant benefit to our buyer, helping us win this major contract."